Kaley Winegarner throws a pitch. The senior returned to the circle last weekend after missing nearly the entirety of last season. After traveling to the West Coast last weekend to open the season, Northwestern will travel east for its second tournament of the year. The Wildcats will head to the Tar Heel State to face Louisville and North Carolina in the Big Ten/ACC Challenge. Northwestern (4-1) opened the season strong at the Titan Classic in Fullerton, California. Now, the Cats will play two games each against the Cardinals (3-2) and the host Tar Heels (2-2) in Chapel Hill. NU defeated Louisville 1-0 last Saturday in Fullerton. NU has a deep pitching staff this year, using four pitchers last weekend. Sophomore Kenna Wilkey and junior Morgan Newport are holdovers from last season, freshman Danielle Williams is looking like a star in the making and senior Kaley Winegarner is back after missing nearly all of last year with an ACL injury. Winegarner sustained the injury in the second weekend of the season last year. The Orange County native returned to the circle last weekend just 20 minutes from her hometown. Offensively, the Cats have been somewhat inconsistent. 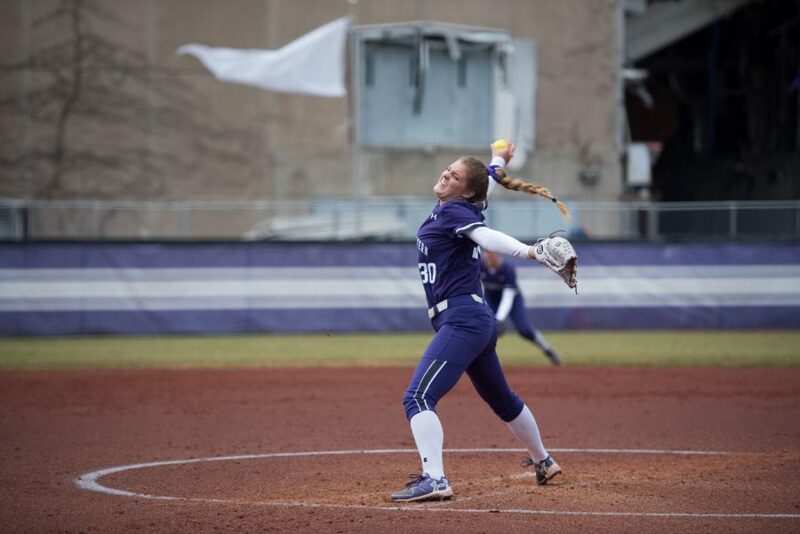 NU exploded for 19 runs in its first seven innings, but scored just three runs in its next 20 innings before rallying late to win its final game of the weekend. Sophomore second baseman Rachel Lewis, who led the Big Ten in RBIs last year and was named a second-team All-American, has been a good example of that inconsistency. Lewis homered in her first at-bat of the year against Utah State, and hit a game-tying blast on Sunday against Idaho State, but finished the Titan Classic just 3-for-16. The Cats experimented with a few different lineups last weekend. Freshman catcher Jordyn Rudd, NU’s best hitter so far, was hitting eighth in the opening game before moving up to fifth and eventually third in the order. Louisville’s pitching has been excellent, with Taylor Roby, Danielle Watson and Megan Hensley all off to hot starts. It was Watson who tied the Cats in knots last weekend before NU broke through for the game-winning run in the seventh. North Carolina is led by pitcher Brittany Pickett, who threw nearly 300 innings last year. Both of the Tar Heels’ losses came against ranked teams, and they defeated then-No. 9 South Carolina last weekend in Puerto Vallarta, Mexico.